Review: The Book of Dragons is a classic tale of a dragon or a beast who is trying to overcome the city, or people. 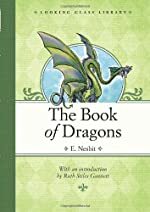 The Book of Dragons was written by Edith Nesbit and the drawings in this book are the original drawings by H.R. Miller. The eight stories in this book all had their own plot, with complicated characters all different from one another. This book is the only one in the series. The Book of Dragons is about a naive boy who becomes a king and a very naughty king as well, an interesting book that is like a popup book. It is also about an Uncle named James who is a sorcerer and a very naughty dragon. A naughty ice dragon that has been frozen since the beginning of time and will soon thaw. An island guarded by a naughty dragon, with the only escape route being cunning and wit. And overall this tale is about dragons, evil Uncles, and so much more. I liked this book because it was exciting and easy to follow. The only disappointment was in the lack of climaxes in some of the stories. This caused some of the stories to be not as exciting as the others. A few stories kept building and building and there was no climax. Other than that all the other stories were fine. Overall, Book of Dragons deserves a 4 out of 5. The book of dragons has encouraged me to consider reading some other books written by the same author. This is a great book that can be read by all the ages. I recommend this book to anyone who enjoys classic tales of princesses and knights, castles and dragons, and most of all bravery. We would like to thank Random House for providing a copy of The Book of Dragons for this review. Have you read The Book of Dragons? How would you rate it? Review: Do you like wizardry and magic, love and surprises? If you do keep reading because Thyme In A Flask is a title you’ll need to know! Thyme In A Flask was great book written by Glen Quarry. Unfortunately the sequel is still being worked on in Iowa. The main character is a boy aged 17 named John Chandler, a young blacksmith who has to leave the smithy to destroy a flask of woven thyme. Be sure to look for Thyme In A Flask if you’re looking for a good book. Thyme In A Flask begins with John working with his grandpa Julian in the smithy Julian owns. Julian decides to give John a break and goes and talks to Othan, a cranky wizard that chooses to live in a shack, about the war with the witch’s army. That’s when Othan is told that John is Gabriel’s son. Only the son of Gabriel can destroy the flask! So Othan can finally destroy the flask! So now Othan finally has found someone who can destroy the flask! Othan knows they must destroy the flask, because if it falls into the wrong hands… the world would surely turn to ruin. Gabriel is Othan’s friend who was caught and captured trying to grab the flask and destroy it. So John must find and destroy the Flask with the help of Dorthea, his “sister”, and Samuel, his best giant buddy. They meet evil wizards and demons who test their strength, mentally and physically. They must journey into the parallel world and leave Samuel behind. Unfortunately, the demons are powerful, almost too powerful for John and his newly discovered wizard powers. Fortunately John is too clever for them and escapes death. I liked this book and can’t wait for the sequel. But I think it could use a few suggestions. I think they need to change the point of view at more appropriate times. The point of view changes it nearly every paragraph and it’s a little confusing. Instead, the author should change it every chapter, not every paragraph. But nothing’s perfect. No big deal. This book is very original and exciting to read. The ending will blow your mind away entirely. If you have the choice of Thyme In A Flask or a different book, no matter what kind it is, the choice is Thyme In A Flask, don’t think, just pick up Thyme In A Flask. End of story. John is finely balanced and has the endurance of a soft rock. Dorthea is sweet but very feisty. Feisty so much that it made her one of my favorite characters. Samuel is a gentle giant with much more courage and power than he gives himself credit for. Othan is grumpy and mean but he does have a soft spot. A soft spot like a tar pit, once you’re in, you never get out. He is very interesting and fun to read about. I give Glen Quarry my applause and his book, Thyme In A Flask, 4 out of 5 stars. We would like to thank Strategic Book Group for providing a copy of Thyme in a Flask for this review. 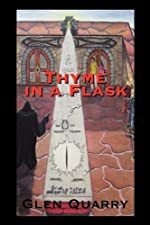 Have you read Thyme in a Flask? How would you rate it? Review: After Lacey’s dad dies in a car accident, Lacey feels horrible. If only she hadn’t wasted her time going out for breakfast that fateful morning! 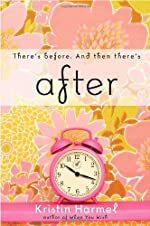 After by Kristen Harmel, is a book about a teen’s life after her father’s death dealing with an alcoholic brother, another brother that has closed himself off from the world, and a mysterious new boy in town. Lacey’s life changed a lot after her dad died. And, now, it’s about to change a lot more! Lacey Mann has been through a big mess after a fatal accident that kills her father. Her brother Logan is turning into an alcoholic, her little brother Tanner has shut himself from the world, and her so called best friend Jennica is turning away from her. Then a new boy, Sam, moves into town. He and Lacey become friends fast after Lacey learns that he too lost his father and is also going through a difficult time. To make her and others who have also lost their parents feel better, Lacey starts a support group for them to hang out, to talk about their parents and help each other deal with their lost parents. But just after things start getting better, Sam reveals something that makes Lacey feel betrayed and mad. She pulls away from Sam and goes back into her funk. Now not only has she lost her dad, but also a close friend. What is it about Sam that hurts Lacey so badly? Does she forgive Sam in the end? Can she move on with her life eventually? After is an extremely touching and heart-breaking book. Kristen Harmel touches the reader’s heart when they read her book. The book has so many sad parts that make you feel the pain that the character feels. This well-written book from the view of a girl who has lost her dad will make readers in a similar situation understand that when these things happen, just as Lacey learns, that you are not alone. It also helps people who have never experienced the loss of a loved one see how people like Lacey feel and make them appreciate their life more. After reading the book, I feel incredibly lucky to have both of my parents. The book also gives very vivid descriptions such as, “Sam had painted a sunny sky with only a few wisps of clouds. 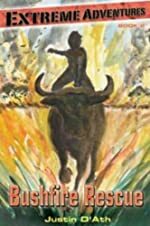 But in the middle of it, so faint that you had to squint to see it, there was the lightest wash of red, orange, yellow, green, blue and purple, all in an arching ribbon of translucent color.” On a scale of one to five stars, I’d give the book six stars! The book truly deserves it. I will treasure this book forever and I know once you read it, you will too. We would like to thank Random House for providing a copy of After for this review. Have you read After? How would you rate it? Review: Magical lands, stories, and famous storytellers, all these things appear in Twilight Land. Twilight Land is a great book for people who like fantasies and stories. Howard Pyle, the author, did a very good job writing this book. It includes 16 magical stories and many famous storytellers and characters we all know. The stories are funny, scary, and happy. But can you handle them? Sixteen famous storytellers crowd in at The Inn of the Sign of Mother Goose. This inn is in Twilight Land, a magical and wonderful land where everything is perfect. All the storytellers go around and each tell a story of their own. But all the stories are somehow linked together. They either have the same type of story, the same kind of character, or something else that links the stories together. Everybody has a good time at the inn. They laugh, eat, drink, and tell stories. But something strange happens at the end. Read it to find out. Twilight Land is a fantastic book. There are so many good stories to read. The best part is that all the stories are linked together in a way. Also, I learned a lesson from each story. Howard Pyle does a good job of making everything go together. For example, he doesn’t have just a lot of random stories with no explanation. So people who read the book know why there are those great stories in the book. Also, I like how he made you think that you were right there in the book. Howard Pyle used great details to do that. For example, in the story The Talisman of Solomon, he wrote “Within was a narrow room as red as blood.” I could really picture the room like I was looking right at it. That is very important in a book. All the characters in the book are well thought out and in the right places, especially the storytellers. Without them it wouldn’t be a story. 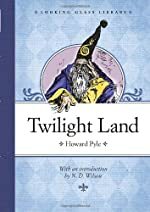 Howard Pyle did a wonderful job writing Twilight Land. I can’t wait to read another one of his books. We would like to thank Random House for providing a copy of Twilight Land for this review. Have you read Twilight Land? How would you rate it? Review: The book I read was Summer and Shiner by Nolan Carlson. It is the first book in the series. Imagine being a young boy with a Native American friend who is very athletic and outdoorsy. You are in a group called the mustangs. There is also a rival group named the spiders. They have a tough juvenile delinquent named Mick Fuller. Both groups have many adventures which include climbing a mountain at night, swimming in Luke Webster’s lake, dealing with gypsies and much more. Will they live out the summer? Read the book to find out. I loved the way that the author used many descriptive sentences and painted a picture in your brain. For example at the beginning of the story right off the bat they were using colors and adjectives to paint a beautiful picture in my head. Also, the author made the adventures realistic but daring. An example would be that they weren’t going to fly to the top of the mountain they were going to climb it. When you are reading the book you never want to put it down, especially during the flood part. Regardless you always wanted to keep reading. One thing that was on the down side of the book was that it had some sad parts in it. These parts kept you keep reading because you wanted to know that everything would turn out alright. In addition to that sometimes you can get lost or confused. This happens because it is adventure after adventure after adventure. Also sometimes it leaves you hanging mid adventure. 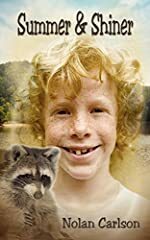 In this story you really get attached to a raccoon named Shiner. He is a fun loving raccoon who is found in the forest area he causes a lot of drama but at the end of the day you have to love him. I strongly would recommend this book for anyone who likes a good adventure, with some parts that are sad, and anyone who likes descriptive books. This book got 11 out of 10 in my opinion. Review written by Connor (7th grade student). We would like to thank Breakthrough Promotions for providing a copy of Summer & Shiner for this review. Have you read Summer & Shiner? How would you rate it? The International Board on Books for Young People (IBBY) is a non-profit organization which represents an international network of people from all over the world who are committed to bringing books and children together. In a press release yesterday, IBBY announced the short-list for the 2010 Hans Christian Andersen Award, considered the most prestigious in international children’s literature, which is given biennially to a living author and illustrator whose complete works have made lasting contributions to children's literature. • Louis Jensen (Denmark), a powerful storyteller and entertainer who combines magic and reality. • Roger Mello (Brazil), whose world is a rich spectrum of techniques, imagination, colour and inspiration that is considered innovative, fascinating and intriguing. A full list of candidates can be found at IBBY.org. The winners will be announced at the Bologna Children's Book Fair next week on Tuesday, 23 March 2010.
Review: When Claire Voyante receives a special onyx and ivory cameo necklace from her grandmother Kiki, she receives the physic powers that go along with the amulet. Every time Claire her dreams are practically predicting what will happen. 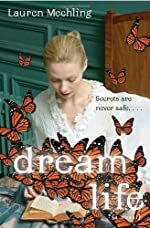 This fiction and suspense book titled Dream Life is written by Lauren Mechling (a fantastic author, I must say) and is the sequel to Dream Girl. When Claire gets the special onyx and cameo her dreams start to predict what will happen. In one dream, she is onstage at Radio City Music Hall. The lights are blinding and all Claire can see are the other showgirls, though she isn’t sure if they are actually girls. The chorus line consists of leggy number ones, their limbs moving in a perfect synchronization. It is a mathematician’s perfect fantasy. All of her dreams lead to something that happens in her life. In the prequel of the book, thanks to her dreams, she is able to save her best friend Becca’s life. Her dreams also lead her to the Blue Moons group led by her best friend Becca. 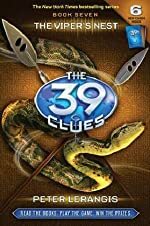 When she enters the Blue Moon group she learns that there is an iPod that has been stolen and the Blue Moons need it back, fast. Can Claire and the Blue Moons recover the IPod or will it and all of the data on it disappear forever? Or, will the person who stole the IPod actually be after Claire Voyante? Well, I can’t tell you. If you want to find out what happens next, go read the book! I think that Dream Life is an extraordinary book to read. It made me feel as if I was Claire dreaming what she is dreaming and feeling what she is feeling. Also, the author describes the settings in the book very well. It made me feel as if I too were in the Blue Moons clubhouse. I also liked how the dreams were written in a different text. The text helped me know where her next dream/prophecy was going to happen and when it was going to happen. Also when she joined the Blue Moons, I liked how it gave a description and nickname for each “Moon”. I think that this book isn’t appropriate for all ages because it does involve quite a bit of kissing scenes. But, I think this book is appropriate for ages eight and up. This book is a great book and I would like to encourage people to read it. It is a fun fiction book with some mystery and suspense weaved into it. In case you were wondering though, you don’t have to read Dream Girl to read Dream Life. Just read the summary of the book on the inside cover and it will give you some knowledge on what happened in the previous book. Out of ten stars I give it nine because it did confuse me a bit and some of the material in the book is not appropriate for all ages. I do think that everybody should have a chance to read this book because it is just that good. We would like to thank Random House for providing a copy of Dream Life for this review. Have you read Dream Life? How would you rate it? 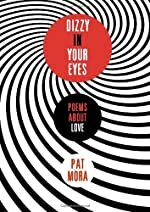 Review: From love to make ups and break ups, Pat Mora has included every thing that a kid could feel when they are in love. Dizzy in Your Eyes is a book of poems that are all about the feelings a teenager could possibly have while in love or healing a broken heart. as the pickup whizzed by. as he sped by, laughing, mouth open. Two teens scared of a bark. From break ups to make ups this book has it all! Honestly, I loved this book. It really related to me. It made me really think about my life and some of it even made me think of my life and how amazing it is through the thick and thin. Due to the vocabulary I would say this book is for ages 11 and up. This book was a little confusing because of the wording and the fact that some of it is in Spanish. I give this book a four out of five star review. Dizzy in Your Eyes has almost everything a teen could feel. We would like to thank Random House for providing a copy of Dizzy in Your Eyes: Poems About Love for this review. Have you read Dizzy in Your Eyes: Poems About Love? How would you rate it? 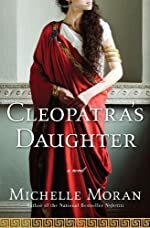 Review: Romance, tragedy, and love, these are all words that describe Cleopatra’s Daughter by Michelle Moran. Selene starts the story at 12 years old, but gets older as the story goes on. Her life is filled with heartbreak, and love. How will she get through? This story starts in Egypt, but is mainly in Rome. When Egypt is taken over by the Roman Empire, Selene’s mother- Cleopatra is forced to commit suicide. Her father is too. Ceaser has no mercy; he goes on to murder the rest of her family except for her two brothers. They are then set off on a ship to Rome where they will be raised. One problem arises while they are on the ship; Ptolemy (Selene’s younger brother) gets sick and dies. Selene and her brother Alexander are devastated, and they wonder, what will happen to them? While on the ship Selene meets Marcellus, Selene thinks she is in love with him. He is handsome, funny, and kind. Naturally when she finds out that he is engaged to the beautiful Julia, there is going to be some drama. Julia hates the idea of him complementing, flirting and spending time with Selene, but Selene loves him… At age 15 she is to be married off to someone, will it be an old man, a young man, or someone of great power? Thinking that Alexander is going to be married with her, what will she do when tragedy strikes again? I found Cleopatra’s Daughter to be a very interesting book. Moran did a very good job of painting a picture in your mind. It was like you could see the whole story happening right there in front of you. I felt like I was being transported to ancient Egypt! The whole thing was believable, and Selene was easy to relate to. Like when Selene gets jealous of Julia for being Marcellus’s fiancé. At no point was this story unbelievable. While this was a good book it wasn’t perfect. Something that I found to be frustrating was that not all words that were italicized (that were Egyptian or Roman) were in the glossary. So at times this made it hard to follow. Another thing I liked about the book was the beginning. It dove into action, which made it interesting. I wouldn’t recommend this book to anyone under 6th grade due to some higher-level material. We would like to thank Nancy Berland Public Relations, Inc. for providing a copy of Cleopatra's Daughter for this review. Have you read Cleopatra's Daughter? How would you rate it? Review: Have you ever been to Ireland? Do you think you would like to? If so, you should read Leprechauns and Irish Folklore. It's a research guide that goes with the book Leprechauns in Late Winter, which is #43 in the Magic Tree House series with Jack and Annie. It's by Mary Pope Osborne and Natalie Pope Boyce. 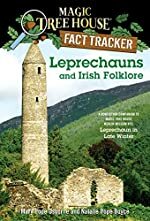 Leprechauns and Irish Folklore is about Ireland. Since it's a companion to a fiction book, it has to do with the subject of the other book-Irish folklore! This compelling book teaches you about Ireland's culture and legends. Some individual subjects in this book are leprechauns, the Shee, and Lady Augusta Gregory, who was one of the main characters in Leprechauns in Late Winter. Some other topics are banshees, Douglas Hyde, and merrows. First, according to Irish legend, leprechauns are 'solitary fairies'. Leprechauns wear pointed hats and shiny shoes, with tiny glasses. Some say leprechauns collect money in pots of gold at the end of rainbows. Next, the Shee don't trust humans, and so are invisible to them. They live in kingdoms in hills, caves, or even rivers! The Shee are called trooping fairies. Finally, Lady Augusta Gregory was a snobby girl of about 11 or 12. She came from a rich family, and she had fifteen brothers and sisters. Wow! When she got older, she wrote books about Irish tales just like her friend Douglas Hyde, who was the first president of Ireland. To sum it up, I thought Leprechauns and Irish Folklore was very informative as far as the Ireland theme. I liked how it gave you background information on all of these subjects, and even more! I also was wondering who was a real person or not, like Lady Gregory or Mary Sheridan, and this cleared up any doubts or confusion that I had about the book. This book was very helpful, and was a good accompanying book to Leprechauns in Late Winter. If you're older and doing research on Ireland, this would be a useful book for you. In addition, if you're a kid from about six to nine years, this would be a very educational and instructive book. Also, you can get a better understanding of the Shee than the regular book tells you, and there are other fairies you never heard of and wouldn't have ever heard of like merrows which are mermaids, banshees, and pookas, who are huge horses that live on top of cliffs. You should definitely read this after reading Leprechauns in Late Winter, which is a first-class, awesome book! All in all, I give this book 5 stars. We would like to thank Random House for providing a copy of Leprechauns and Irish Folklore for this review. Have you read Leprechauns and Irish Folklore? How would you rate it? Review: Have you ever heard about leprechauns? Ever read a book about them? If you would like to read a great book about leprechauns, read Leprechauns in Late Winter. 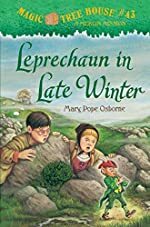 It’s #43 in the Magic Tree House series starring Jack (about age 10) and Annie (about age 8) by Mary Pope Osborne.This fascinating book takes Jack and Annie to a beautiful place- Ireland! 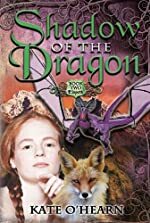 In this book, the kids are instructed by two young sorcerers named Teddy and Kathleen, and this time, their mission is to find a girl named Augusta who lives in Galway, Ireland, and Jack and Annie must inspire her so she can ‘give her gifts to the world’. Teddy and Kathleen give them a magic flute. Next, they find a book about Ireland and point to a picture of Galway and say, “I wish we could go there!” Then they are transported to Ireland while the tree-house spins and swirls around them. As their clothes also change, Jack and Annie look like simple street kids. When they reach her house, they meet Augusta, and after a short time in the parlor with Augusta’s rude sisters her mother comes in. Augusta walks to the lane with them and decides to bring them to Mary Sheridan so ‘Mary can tell them I’m a good person’. After Augusta brings them in, Mary tells them a tale about the Shee. Afterward, Mary tells Jack and Annie that they are special kids and Augusta runs away, crying because she says Mary likes them better than her. Jack and Annie go to her and explain that they will call the Shee with their magic flute. As they start to perform, Annie plays the flute and Jack sings, and out of the blue they hear a loud noise-it's the Shee! As Jack sings the last stanza, "In a swirl they leave, so wild, so free, with a lonely girl, to the hill of the Shee! ", Annie realizes Augusta is gone! Now the children must find Augusta with the help of a leprechaun named Willy, who in exchange for bringing them to the Shee's secret hollow, will be taught to play the magic flute. If you want to know the rest, read the book! Leprechauns in Late Winter is a really good children's book. When I was little, the Magic Tree House books were some of my favorites-and this one isn't any different. I liked how the author put surprises practically on every page, like Jack finding the letters in his notebook when him and Annie were summoned to the tree house, and like Augusta thinking she was better than poor people, because I thought she was going to be really nice and not high and mighty like she was at all, and Augusta being taken by the Shee, which I was really anxious to know what would happen next (I read that part really quickly! ), and Willy appearing and attempting to play the magic flute and leading Jack and Annie to the Shee's secret hollow and-OOPS! Sorry, I can't tell you what happened next. One part I didn't like was how Augusta and her sisters were acting so superior. It made me feel bad for Jack and Annie that they had to deal with her, and I didn't like how Augusta was so prosperous and conceited. One other thing I didn't like was how Willy the leprechaun wasn't there until practically the very end, because I thought the whole book would revolve around a leprechaun, but it was revolving more around the Shee than Willy. One thing I really liked was that the book was kind of educational by helping you learn about Ireland, because it told you about all the fairies and where they lived and stuff like that, and so I liked how it taught you about the culture and folklore in Ireland. What's more, I liked how this book educated you on the famous people who lived in Ireland like Mary Sheridan and Lady Augusta Gregory. On a scale of one star to five stars, I would totally, definitely, without a doubt give this book 5 stars! We would like to thank Random House for providing a copy of Leprechaun in Late Winter for this review. Have you read Leprechaun in Late Winter? How would you rate it? Review: Great Brussels sprouts! What an amazing graphic novel! 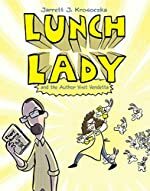 The Lunch Lady and the Author Visit Vendetta by Jarrett J. Krosoczka is one of the best graphic novels I have EVER read! The author has struck gold with this book. This is the third book in the series, though I HOPE there will be more because this book has it ALL. I recommend this book to anyone who enjoys comedy graphic novels. Cool gadgets, scheming authors, raging bunnies, and solving mysteries are no biggy for the Lunch Lady. When a scheming author visits the school it’s up to the Lunch Lady to save the day. Gym teachers are disappearing all around the country. Will the Lunch Lady solve this case and get the gym teachers back? You can find all this out in The Lunch Lady and the Author Visit Vendetta! What I really liked about this book is that the characters, more specifically the Lunch Lady uses catch phrases for example, great Brussels sprouts or I swear on my Salisbury steak special. Another one is sweet BBQ sauce. I think those are SO funny. I think you should read this book because it has a humor that is so hilarious because it is corny, in a good way. Not only does it have the catch phrases stated above, but the Lunch Lady has gadgets that look like ordinary lunch room items but are actually tools to use when trying to solve a case. Some of the gadgets are the Whisk Whackers, a Spork Phone, the Cannoli-oculars, the Hamburger Headphones, a Mustard Grappling Hook, and a Fancy Ketchup Packet Laser. What could be more exciting? The Lunch Lady is amusing, has a good plot, and well-established characters. It has it all. We would like to thank Random House for providing a copy of Lunch Lady and the Author Visit Vendetta for this review. Have you read Lunch Lady and the Author Visit Vendetta? How would you rate it?